You can add images, videos and audio files to your presentation. Useful for placing your personalized overlay, or adding a running video clip. 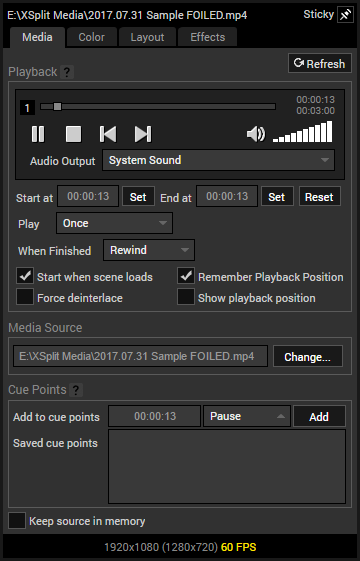 You can also drag and drop media files on the XSplit Broadcaster stage to add them as sources.